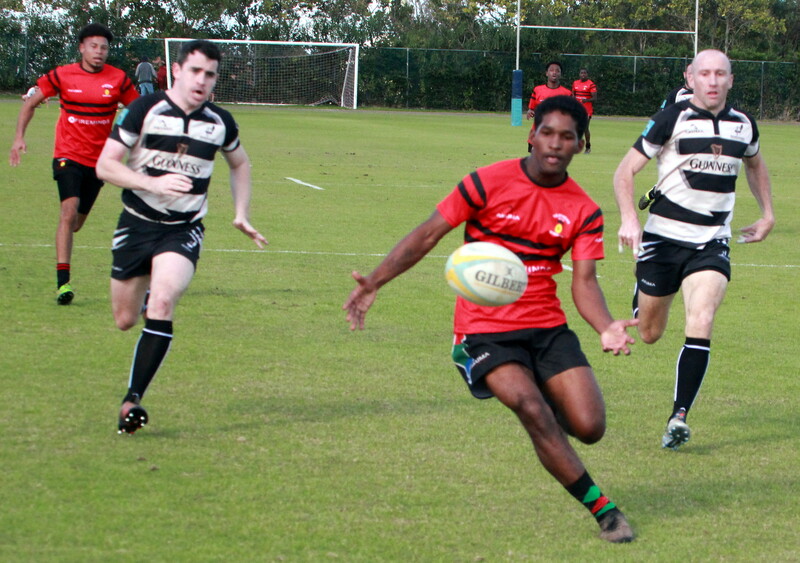 Bermuda Rugby Football Union league action returned to the National Sports Center. In the Ladies Division the Renegades defeated the Teachers 27 – 10, the Renegades got 2 Try’s from Sarah Maybury, while Jackie Oliver, Ashley Godek and Maeve Dillon all added a Try each, Laura Mulligam would kick the lone Conversion, the Teachers scored got 2 Try’s from Cerise Woodley. In the other Ladies Division match the Mariners defeated the Police 15 – 12. The Mariners would get Try’s from Apryl Jackson, Nya Heyliger and Anthi Xipolia, while the Police would get a try each from Jo Murray and Mika Tomita, while Fiona Donaldson kicked the lone Conversion. In Men’s Division play, following a delay to sort through a suspension the Renegades would defeat the Teachers 35 – 19. The talking point before the match was the suspension of a Teachers player when had been suspended for a number of games and until January 20th, the Teachers argued the point that the player had missed the required amount of games, but officials stood firm with the ruling on the Suspension stating the date of January 20th. Jamie Baum gave the Renegades the lead, but with Paul Kelly missing the Conversion the score remained 5 – 0, the Teacher s fought back and after some good pressure Janeko Francis used his speed to outrun some Renegades players to touch down for the Try, but with Connor McGowan missing his Conversion attempt the score remained 5 – 5. Teachers continued to be competitive and a good counter attack freed Captain Aldo Campbell who burst through and scored, McGowan kicked the Conversion to give Teachers a well-deserved 12-5 lead. Lewis Walsh would score a Try after some organized play by Renegades, Kelly slotted his pressure Conversation to level the score at 12 - 12 to take the teams into the half all even. The second half saw the Renegades score off a lineout set as they drove forward in a tight maul and then capitalized on the space created out wide with center Alex Brown going over for a Converted Try to give them a 19 – 12 lead. Similar forward driving patterns earned the Renegades their fourth bonus point Try with the Alex Brown going over for an Unconverted Try extending the lead to 24 - 12. A quick restart from a penalty saw Jamie Baum dive over for the Renegades for another Unconverted Try as they would then hold a lead of 17 with the score 29 – 12, but the Teachers fought back with spectacular 80 meter counter which saw Francis score his second Try and close the gap 29 – 19 after Kelly connected on the Conversion. Renegades remained composed and earned two kickable Penalties converted by Kelly to extend their lead 35-19 and win a well fought entertaining game. Before their game the Police team and Mariners held a minute of silence for fallen Police Rugby player Paul Marsden who tragically passed away whilst playing on the National Sports Center field in 2006. In the game the Police defeated the Mariners 38 – 12, the Police would get 2 Try’s from Stephan Smit, while Spencer Brown, Henry Johnson, Michael Halbert and Andrew Kemp would all add a Try each, with Jayde Albertze kicking four Conversions.